Our body contains several hundred different types of specialised cells. Each cell has very specific features that enable it to do its job. Yet every cell in your body contains the same genes – the same biological ‘instruction book’. So what makes each type of cell different? And can we control or change cell identities? How might this help us develop new approaches to medicine? What makes a skin cell different from a blood cell? The specialised cells in our bodies, such as blood, skin or muscle cells, develop from stem cells. These stem cells can produce more cells of their own kind (self-renewal) and can also develop (differentiate) into the specialised cells that make up a particular tissue. For example, skin stem cells can differentiate to produce the specialised cells of the skin; blood stem cells can generate the specialised cells of the blood. Differentiation from a stem cell to a fully specialised cell involves many steps of development. When a cell has gone far enough along this process, it becomes committed to develop into a cell of a particular tissue, and eventually into a specialised cell. So a cell may first become destined to belong to the blood cells and then eventually specialise and turn into a white blood cell (leukocyte) or a red blood cell (erythrocyte) with a very distinct set of duties. Once it has specialised, the cell will no longer change into a heart, brain or other cell so long as it is kept in its normal environment (in this case blood). It will only develop the properties and abilities of a blood cell, not those of a heart cell. However, every cell in the body contains the same set of genes, basically a library of instructions for everything the cell could possibly do. So what is the difference between one specialised cell and another? Not all the genes in a cell are active. Proteins called transcription factors interact with the genes to turn them on or off, or to make them more or less active in a cell. The genes that are turned on are known as “expressed” because they are used by the cell as the template for producing proteins. The collection of proteins made by the cell affects its shape and functions. So, even though a heart cell still contains all the same genes as a white blood cell, it only expresses the genes associated with heart cell properties. These processes have to be very carefully controlled in the body, and so normally when a cell goes down a given path it never changes direction. But in theory the inactive genes that would make, say, a heart cell could be artificially activated in a white blood cell – thereby giving the blood cell a new heart cell identity and related properties. 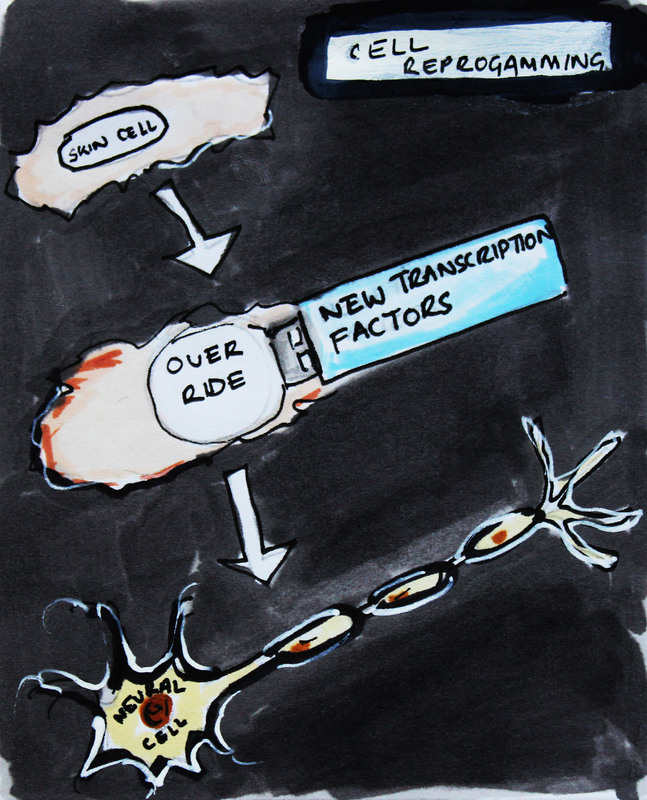 Exciting current research on a technique known as cell fate reprogramming is based on this concept. In summary, a cell gets its identity because genes required for a cell type's unique functions are expressed, while genes required for other cell types are kept inactive. And this is not only important during a cell’s development when its identity is first established, but also later on to keep the adult cell functioning as it should. A cell’s identity is defined by the expression, or activity, of certain genes in its DNA and the resulting production of particular proteins. These expression patterns follow a complex cascade during the cell’s development, where timing and dosage of the proteins produced are essential. The destiny of a cell to become a cell with a special identity, is what scientists mean by cell fate. A cell’s fate can be decided by basic processes like growth, interaction with other cells, the tissue the cell is in and migration. And it can also be changed. For example, Thomas Graf and his team of researchers in Spain have developed methods for changing the identity of a differentiated blood cell. They can take mature blood cells called B cells and convert them into a different type of blood cell, called macrophages. B cells are important members of the immune system and protect the human body by producing antibodies against invaders such as bacteria and viruses. They belong to a family of cells known as the lymphoid lineage. Macrophages, on the other hand, are part of a different cell family – the myeloid lineage – and are very versatile defence cells that digest disease-causing invaders, activate other immune cells and also help in tissue repair. Graf and his team found they could use the transcription factor proteins that steer cell fate during the normal development of specialised cells in another way: to convert fully developed B cells into macrophages. 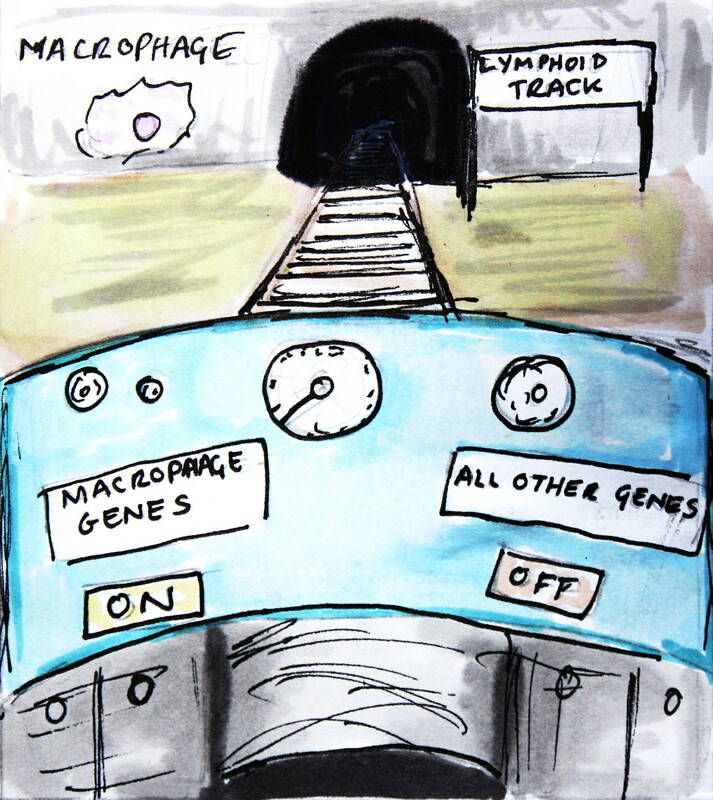 By inserting a transcription factor that is important for macrophage development into a B cell, the researchers managed to overwrite this cell's previous identity. In response to the addition of this transcription factor, genes and proteins that are normally present in B cells were turned off and other macrophage-specific genes were switched on in the cell, effectively changing its identity. The technique they used is called lineage reprogramming or ‘transdifferentiation’. Graf’s work builds on discoveries by other research groups who identified ways to manipulate cell identity. This includes early research on cloning, as well as the discovery that a type of cell found in the skin called a ‘fibroblast’ can be converted into muscle cells. The work of Graf and others shows that cells can be switched between closely related types, such as different types of blood cells. Recently, further discoveries by several research groups have shown that even distantly related cells from different tissues can be converted into one another. 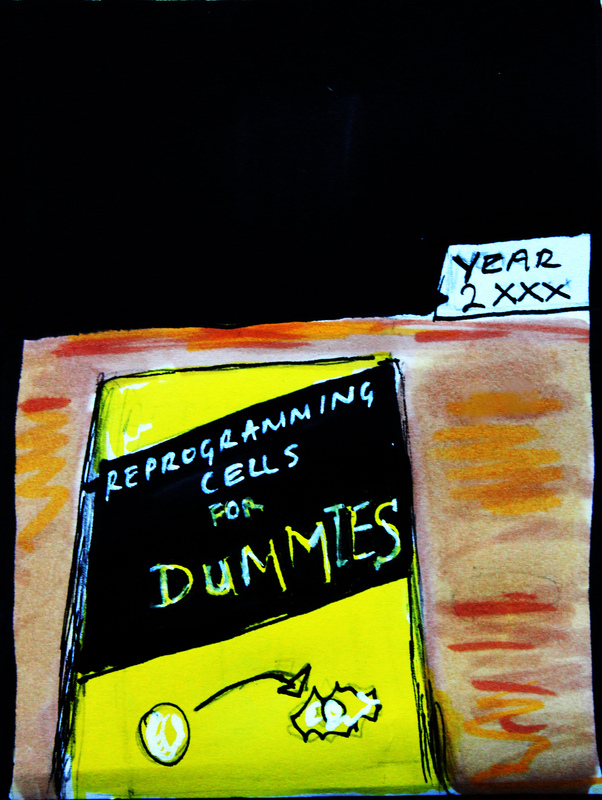 Some researchers have suggested that any specialised cell may be converted into any other if the necessary ‘reprogramming factors’ (the right genes or proteins) are known. We do not yet know, however, whether transdifferentiation changes cell identity completely and perfectly in all cases. How could controlling cell fate help with new medical treatments? Eventually produce cells in the lab to replace lost or damaged cells in our bodies. The discovery in 2006 that fully specialised adult skin cells could be converted into cells similar to embryonic stem cells (known as iPS cells) opened up exciting new possibilities for producing specialised cells on demand in the lab. This is already providing a valuable tool for disease modelling – making specialised cells affected by a particular disease in the lab, and using these to study the disease or search for possible new drugs. Lineage reprogramming, or transdifferentiation, of one specialised cell type into another offers an additional route towards the possibility of creating cells ‘a la carte’ for medical research and treatments of the future. These techniques have not yet been used to develop a treatment for patients but researchers are beginning to explore their potential. For example, in 2011, a team led by Malin Parmar managed to reprogramme skin cells to become dopamine-producing neurons. Significantly, dopamine-producing neurons are the type of neuron that is lost in Parkinson’s disease. Previously, the team had used embryonic stem cells to produce these dopamine-producing cells, and so reprogramming offered an additional route to produce these cells in the lab. The team then went on to explore whether they could skip the stage when the cells were in the culture dish, and convert them without removing them from the body. Since that time, they have managed to reprogramme glial cells (a non-neuron cell type already resident in the brain) into functional neurons within live animals (in vivo). This technique is still a long way from the clinic but Parmar’s lab has demonstrated elegantly that it is possible to convert cells without the need to isolate and manipulate cells in the lab first. This work is in its infancy and much more research is needed to determine whether reprogramming cell fate could provide a safe route to treatments for patients. However, these early findings open up new possibilities for one day providing patients with therapeutic supplies of cells originating from their own bodies. As with all new scientific discoveries it will take time for reprogramming technologies to fulfil their potential. Despite the remarkable progress that has already been made, crucial challenges have yet to be addressed. Two techniques are currently being developed in parallel – iPS technology and transdifferentiation. Both will have to be optimised and standardised across labs. Efficient, reproducible and risk-free methods will have to be devised for each type of specialised cell we want to make using these techniques. The efficiency and accuracy of the outcomes will also have to be assessed at every stage after transplantation of cells into a host animal or patient, and a clinical routine will have to be established to allow doctors to use new treatments safely and effectively. Scientists are optimistic that with a better understanding of the molecular basis of reprogramming they will be able to solve most of these problems. 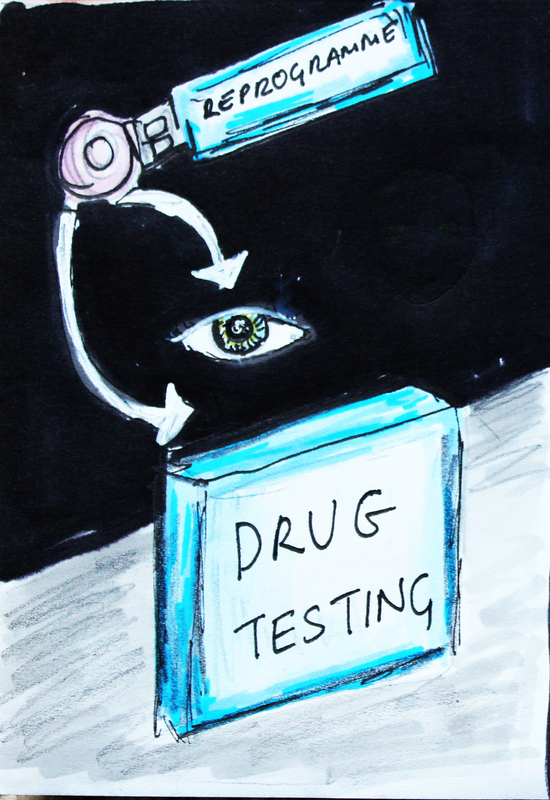 As both iPS and transdifferentiation are developed and become better understood, the range of possible medical uses might be expanded as well. The results of further research are likely to mean that one of the two techniques becomes more widely used than the other, or each technique might turn out to be more suitable for treating certain types of disease or producing particular types of cells. In time, the stem cell field may be able to provide personalised treatments that could ultimately solve the problems of organ shortage and transplant rejections, and perhaps even offer treatments for currently incurable degenerative diseases. Commentary by Thomas Graf on cell replacement therapies: iPS technology or transdifferentiation? Edited by Emma Kemp and Jan Barfoot. Reviewed in 2014 by Austin Smith and Thomas Graf. Reviewed in 2018 by Thomas Graf. Lead image of reprogrammed skin cells courtesy of Malin Parmar, Lund University. Hand drawn illustrations by Vanessa de Mello, University of Aberdeen. Illustrations from Cell Fate film by Sergi Esgleas. Fluorescent microscope images of B cells and macrophages reproduced with permission from Thomas Graf, Centre for Genomic Regulation, Barcelona. The concept of 'reprogramming' is generally accredited to Sir John Gurdon for his work on Xenopus frogs in the 1950s. Gurdon won the Nobel Prize for his work in 2012. Not all the genes in a cell are active at any one time. Genes can be switched on or off, resulting in the different functions of each type of cell in our body. B lymphocyte cells are from the lymphoid family and macrophages are from the myeloid family.